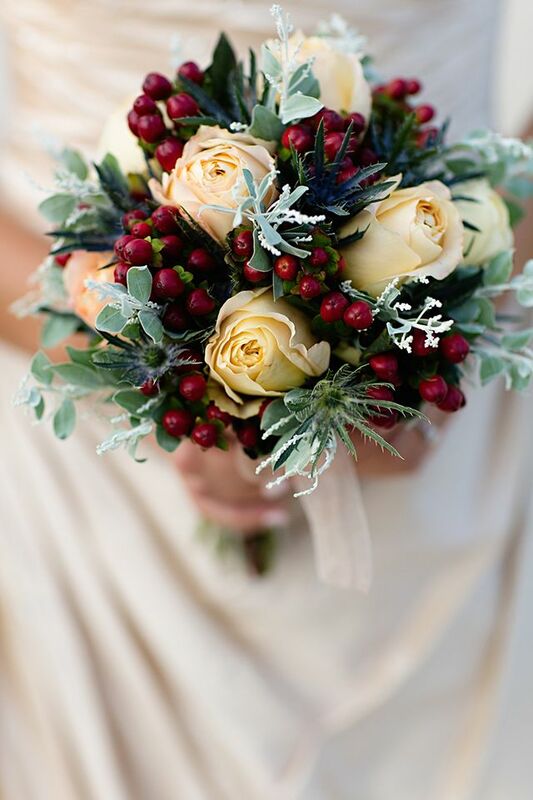 No matter what season you get married in, choosing the best flowers for your bouquet is a big task. 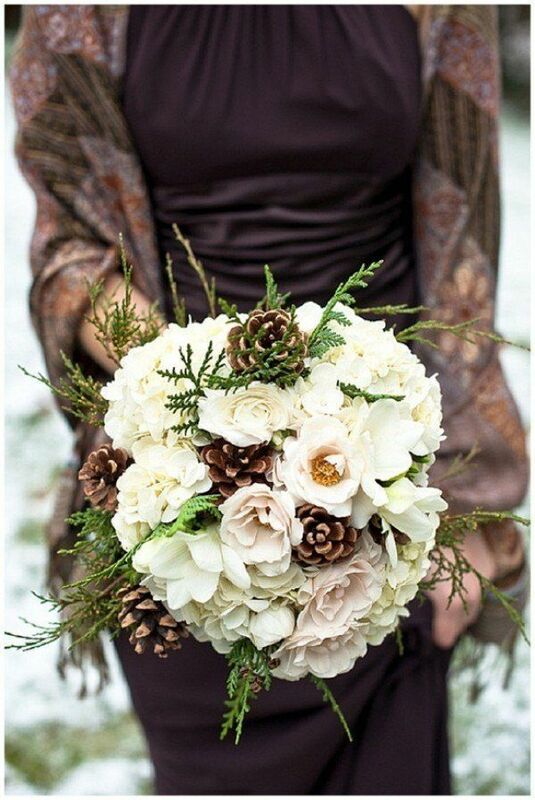 Check out these pretty ideas for any season! 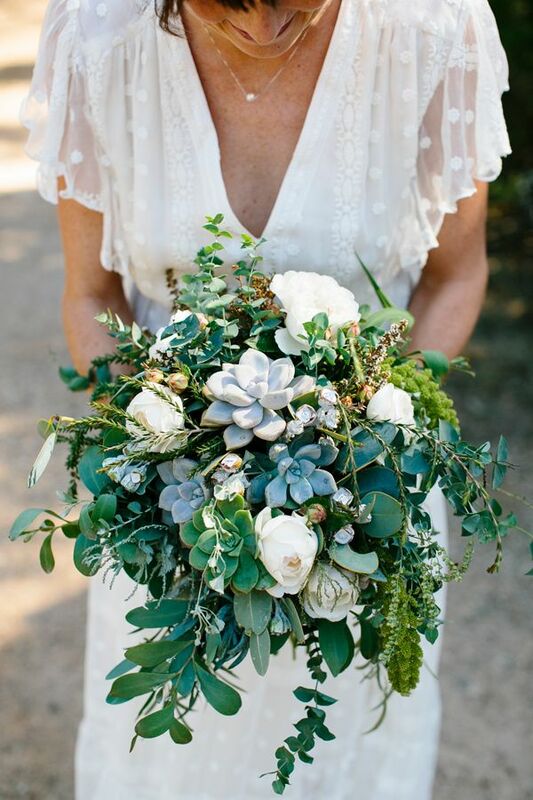 With choices of flowers from spring to winter, and lavish roses to DIY alternatives, finding the perfect wedding bouquet can be tricky! 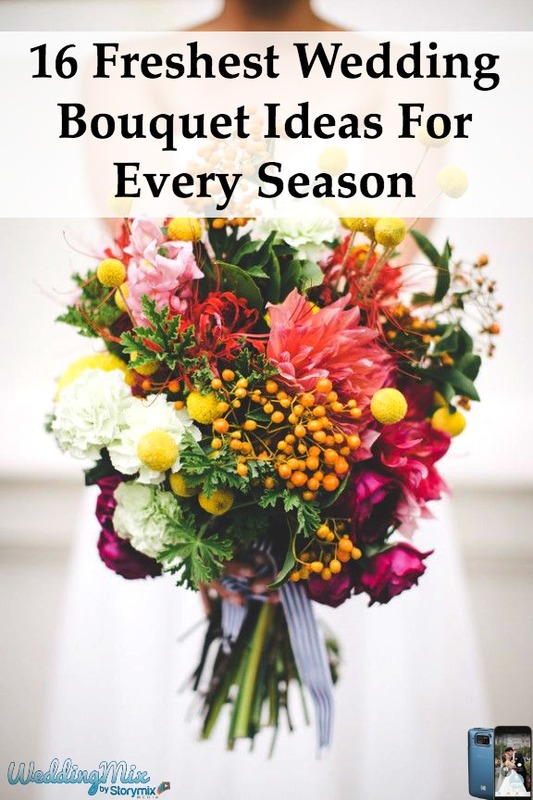 The WeddingMix team compiled this article about 16 Freshest Wedding Bouquet Ideas For Every Season, which lists prettiest bouquets from each season so your search for the amazing arrangement of flowers to fit your wedding is a little easier. 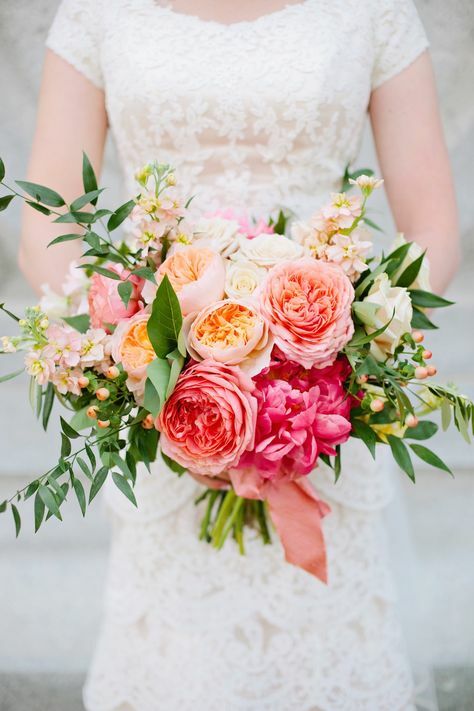 Just imagine tossing your bouquet into the air as your little sisters fighting over who is going to be married next – such a priceless moment! 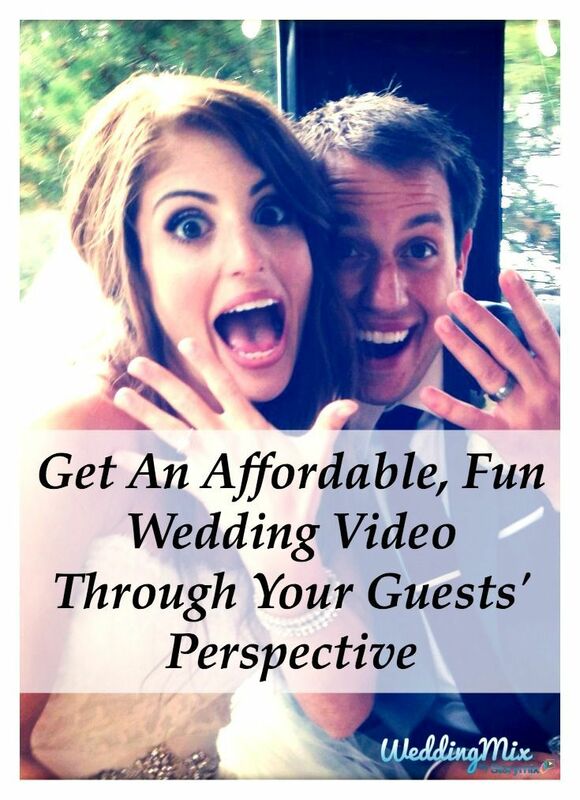 It’s one of those perfect, once-in-a-lifetime memories to include in your amazing DIY wedding video – created through your guests’ perspective! 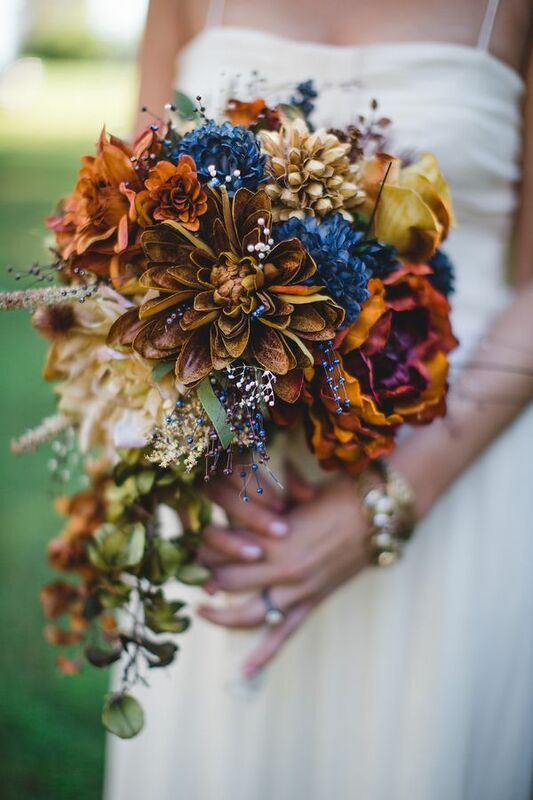 No matter what season or style your wedding is in, we have some awesome bouquet ideas to inspire you! 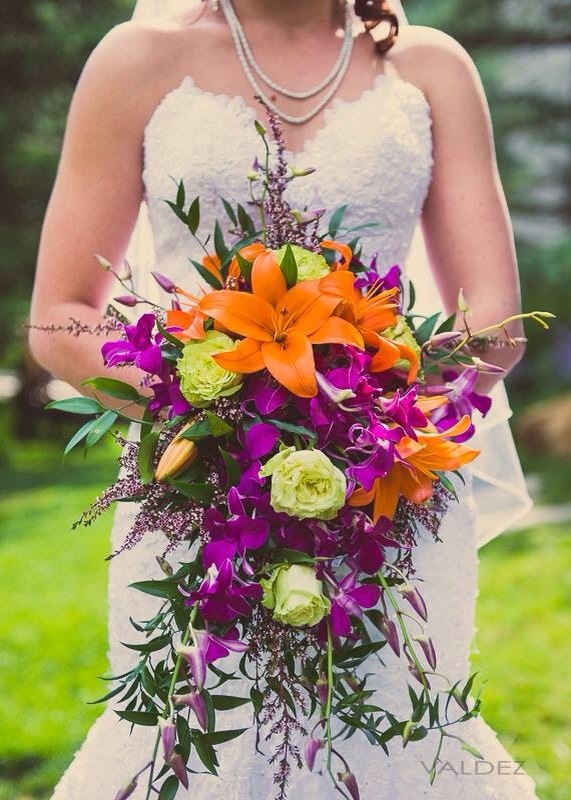 How beautiful is this vibrant purple and orange bouquet? 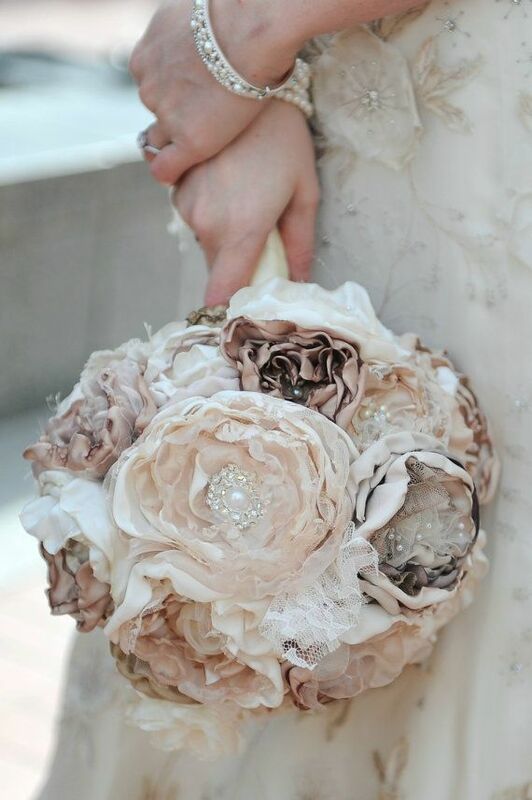 Sammi’s bouquet was fun and dynamic, just like her wedding! Her wedding guests were able to create and capture the incredible, candid moments using the free WeddingMix app and HD cameras. 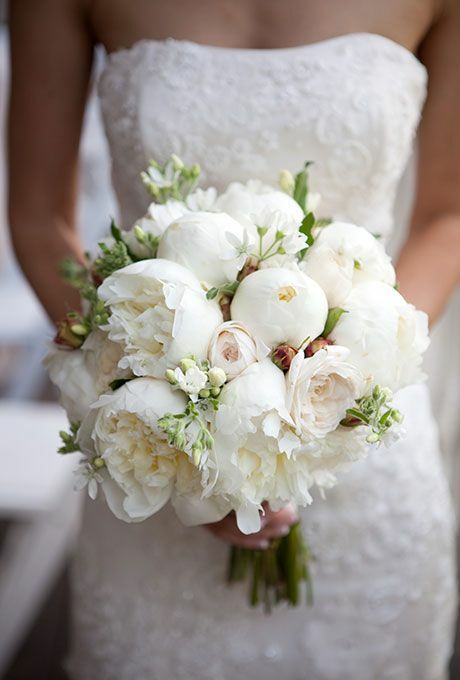 Check out their wedding video highlight to see just how much her bouquet really popped! 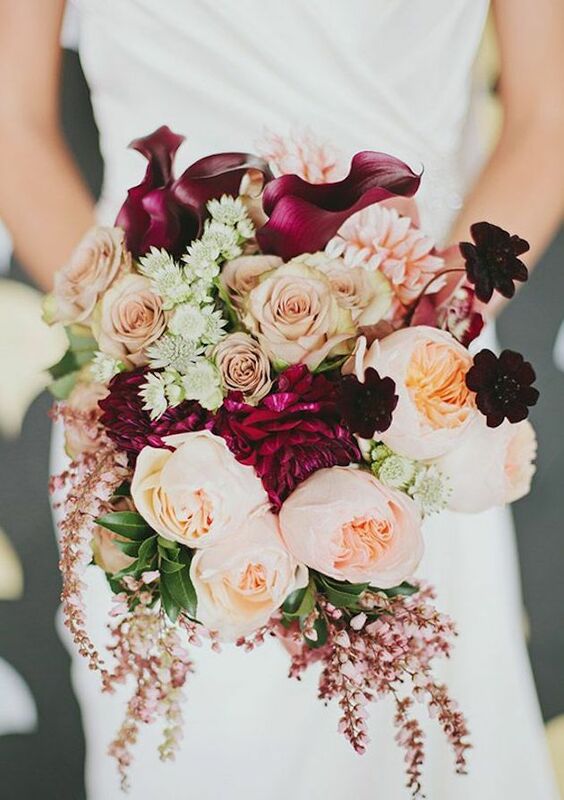 How beautiful are these bouquet ideas? Did you find one you like for the season your getting married in? 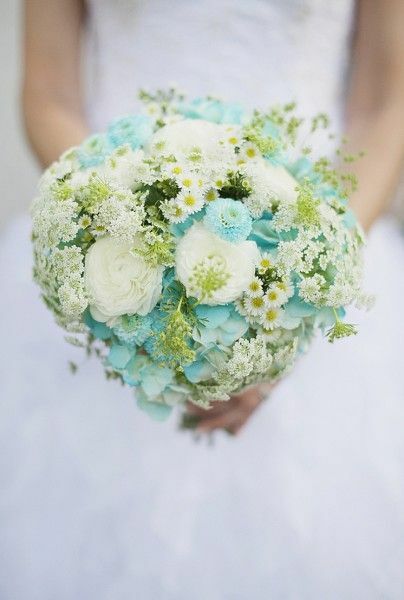 What about DIY ideas for a flower arrangement? Let us know in the comments below! 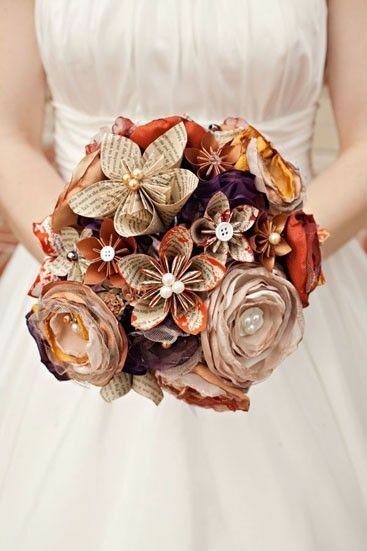 Make sure you check out these other super cool DIYs, 10 Clever DIY Wedding Ideas Guaranteed to Impress Guests, for more ideas! 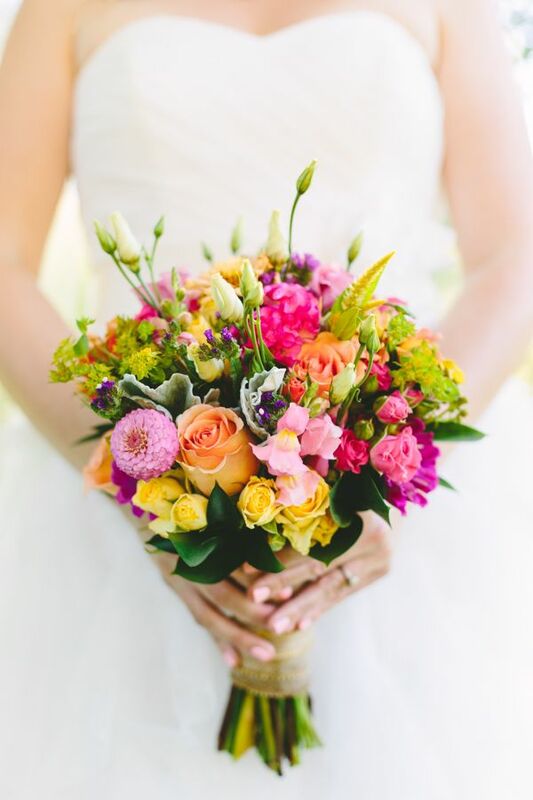 I absolutely LOVE that first spring bouquet, how adorable! 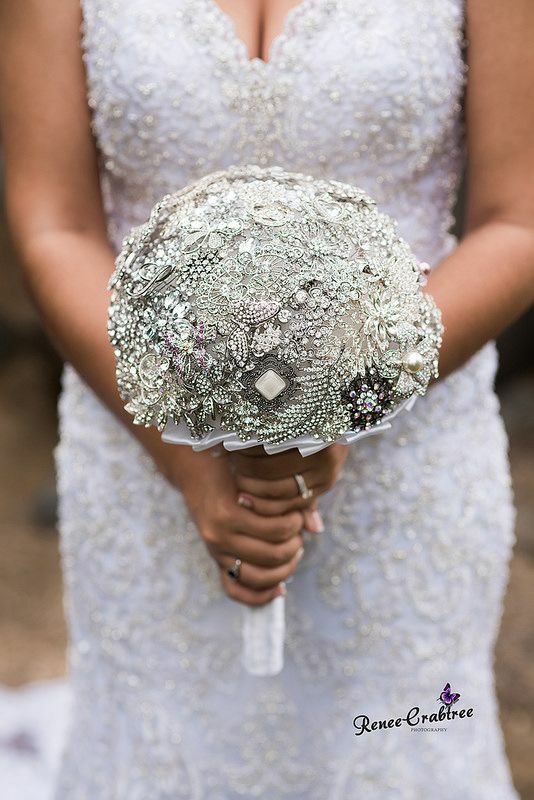 And I’m a huge, huge fan of bling bouquets.